Review: Bessie Smith, 'The Complete Columbia Recordings' "The Empress of the Blues" gave voice the listeners' tribulations and yearnings of the 1920s and '30s. A new 10-CD box set collects the complete works of the colossus who straddled jazz and blues. 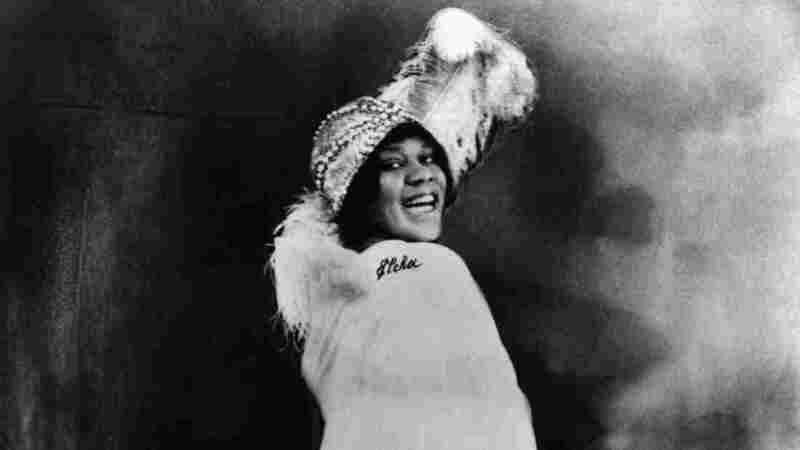 Bessie Smith, "The Empress of the Blues," gave voice the listeners' tribulations and yearnings of the 1920s and '30s. Vocalist Bessie Smith's musical career, spanning 1923-33, has been collected in a new 10-CD box set, Bessie Smith: The Complete Columbia Recordings. Recorded shortly before the 1927 floods that devastated the Mississippi River valley, Bessie Smith had written "Back Water Blues" in sympathy with flood victims she'd encountered near Cincinnati months earlier, who, the story goes, asked her to bear witness to their pain. Even so, having a song ready for folks along the Mississippi just when they needed some empathy speaks to her mythic power — her ability to give voice to her listeners' tribulations and yearnings. 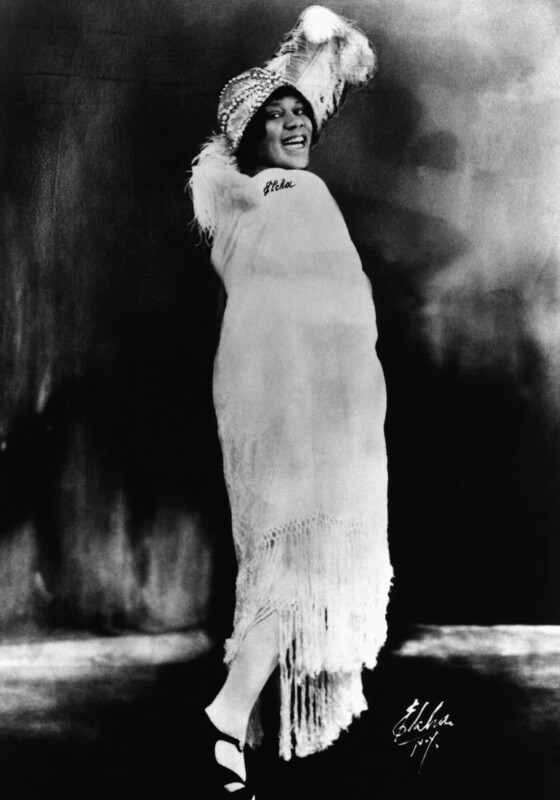 In the 1920s, Bessie Smith was a colossus who straddled jazz and blues. For all the acclaim she still gets, over time she's been marginalized a bit in either field — like she's too jazzy for blues people and vice versa. But Smith played a decisive role in shaping early jazz: horn players who worked with her learned a lot about bluesy feeling and inflections, a raspy vocalized sound, and the economical statement. She helped brass players in particular to find their own individual styles, as personal as singing voices. The horn players who answered her plaintive phrases might respond with sympathy, mockery, or sarcastic sweetness — they stretched their own rhetorical range. She found Louis Armstrong a little too aggressive in support, more in it for himself. But he and Bessie sound great together on the "St. Louis Blues." Fred Longshaw's wheezy harmonium conjures up a little country church. There are many less daunting Smith compilations around, but the remastered sound here is mostly quiet and clear, and immersing yourself in her sides helps you get past the primitive recording to the music itself. Tracking her session by session, you hear her style evolve. As a live performer, Smith was famous for bellowing to a theater's back rows and balcony. But by the later 1920s, she'd learned how to use the recording studio. She could lower the volume without diminishing her power. This is the Bessie Smith who influenced the young Billie Holiday, whose own early sides a few years later have a similar playful quality. Even modernized a bit, Smith's blues began sounding old fashioned by the end of the 1920s; her recording career was almost over. (The Great Depression didn't help.) But she left the music very different from when she began recording. She no longer had to coax musicians into bluesy expressionism; now they carried her. Bessie Smith's last recordings from 1933 marked a changing of the guard, with newcomers like saxophonist Chu Berry and clarinetist Benny Goodman on board. Four years later, she died after a grisly road accident near Clarksdale, Miss. : the cradle of the man-with-guitar country blues that had replaced her theatrical kind. Even her exit had its mythic sides.